This is some mind-blowing late-in-the-day news right here: J.Crew will be opening another men's shop a la their Liquor Store location in Soho. 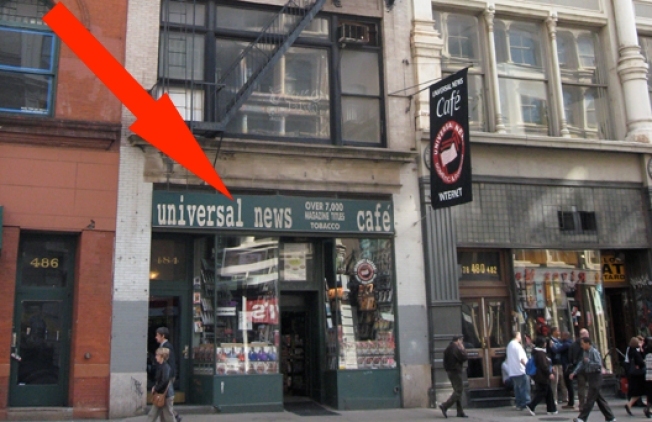 The store will take the space that currently houses Universal News at 484 Broadway, which is right next door to the giant Topshop store set to open in March. From DNR: "The size and opening date have not been determined, but it is expected to debut in early 2009." Will it beat Topshop? Probably.